Amber Fitts and Sarah Stallings are innovative teachers who are ahead of the curve! This year I was involved in the 49th North Carolina Reading Association Conference and through sheer luck decided to attend a presentation given by Amber Fitts and Sarah Stallings. To say I was impressed would be an understatement. These two educators increase academic achievement by instilling a love of reading, and creating a genuine community in their classrooms. Ms. Fitts and Ms. Stallings have a proven track record of raising test scores, and it’s based on a philosophy that is often overlooked, but supported by empirical data in many research studies. Although the debate continues on how we can best help students succeed, studies show that two factors stand above all others, (1) developing genuine relationships, and (2) instilling a love of reading. Relationships construct the foundation that learning takes place on. If you had to build a skyscraper would you choose sand or cement for your foundation? Would you use wooden beams or metal pylons for support? The foundation ultimately determines how high we can build. The “structures” that we put in place to create relationships within a classroom, between students, teachers, parents and administrators set the tone for success. Trust is at the heart of all relationships and strong teacher/student bonds cultivate an environment that promotes excellence in learning. Flexibility is a part of this process. 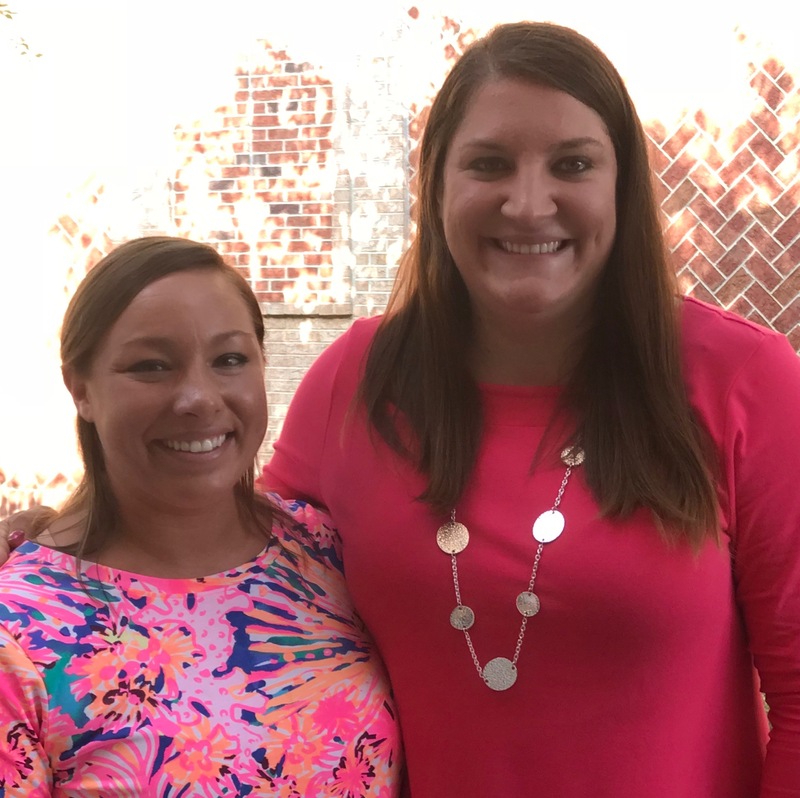 Ms. Fitts and Ms. Stallings both teach at Hunter Elementary School in Greensboro, North Carolina, and recognize the connection between positive relationships and academic achievement. They care about their students’ success in the classroom setting as well as their personal well being. Their focus is on the “whole” child, rather than teaching to a test. As many teachers, including myself, can attest to, children come to school eager to learn, and are like little sponges taking in everything around them as they embark on their educational journey in kindergarten. However, by third grade the spark of learning has often diminished and many students no longer enjoy school. They just want to get through it. This is particularly true of reading. WHY this happens is the subject of debate. Today the focus is on HOW to get that spark back! Ms. Fitts and Ms. Stallings have come up with a way to reignite that spark, while raising test scores, and creating an inclusive classroom community that helps all students succeed. Do you work with students who love reading…..hate reading…..are at different levels….. or are not motivated to read unless they are required to? If you answered yes to any of these questions and would like to turn your classroom around and create voracious readers who take ownership of their learning……create a book club! That’s exactly what Ms. Fitts and Ms. Stallings did and the results speak for themselves. Based on preliminary results reading proficiency increased significantly from the previous year. Their students grew so much as readers, writers, thinkers, and speakers! There are many types of book clubs, and “how” they are implemented is essential. Let’s look at a few factors that Ms. Fitts and Ms. Stallings use to create a strong foundation that encourages and promotes reading. Rule #1 Let students choose the book. Why? Data shows that one of the most important factors involved in creating lifelong learners is letting students choose books based on their own personal interests and experiences. This is often referred to as a “hook.” Find a book that captures a student’s interest and they will want to know more. Ms. Fitts and Ms. Stallings used this rule when their fourth-grade students wanted to read Crossing the Wire by Will Hobbs. Crossing the Wire tells the story of Victor Flores, a Mexican teenager who leaves his village to cross the border into the United States. Victor’s father died while working in the U.S. four years earlier, leaving Victor “the man” of his family. Eventually, the only option Victor sees to help support his family is to “cross the wire” into the United States. Many of the students could relate to the hardship and experiences Victor encountered. Students who had previously hated reading were asking questions, participating more, and reading on their own. I feel compelled to emphasize one of the most important consequences of giving students choices. Regardless of what is taught in the classroom, it’s what happens outside of the classroom that often determines the educational outcome. Students must take the initiative to read on their own in order to achieve academic excellence. That is exactly what the book, Crossing the Wire did for these students. Reading this book also had a ripple effect. Parents became more involved in the education of their children. Pertinent discussions surrounding the book started to occur. Parents began asking, “What happened in Crossing the Wire today?” Group discussions with peers became enriched as students related to the character in the story and connected the book to their own personal experiences. Conversations became authentic and this helped to build even stronger relationships within the book club. As a result, critical thinking skills increased by leaps and bounds. “Why, how, what if…., that character reminds me of….in my opinion….The list goes on! Students asked questions, shared ideas, agreed to disagree and became sponges that soaked up learning opportunities inside and outside the classroom setting. Rule #2 Model! Model! Model! One technique that trumps all others when students are learning a new skill, objective or goal is modeling. Modeling always helps to build a strong foundation. When teachers show students what to do and how to do it they learn at a much more rapid rate. At the beginning of any new endeavor, there is a great deal of teacher modeling. Showing students how to do something is a starting point. It’s not just “what” to do, it’s “how” to do it that makes all the difference. Modeling must be consistent in order to build a strong foundation for academic achievement. More time is spent at the bottom of the foundation to ensure that students have the necessary skills to succeed. As a strong reading foundation develops, teachers can gradually let go, and students will climb to the top on their own and with support from each other. 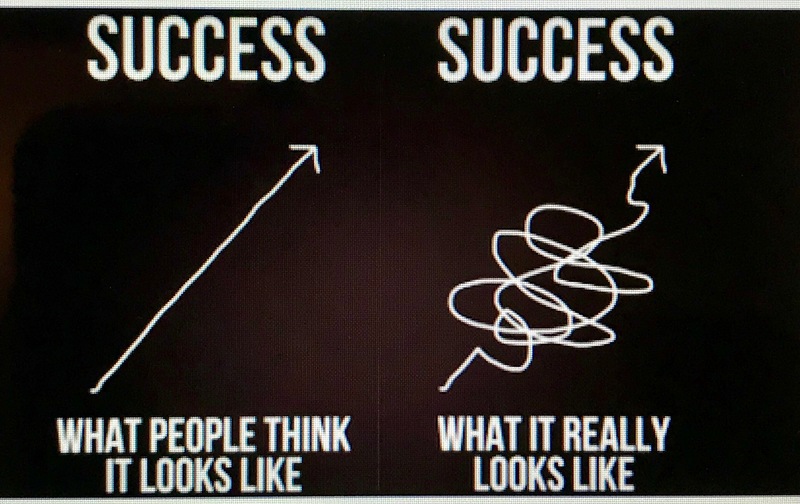 Keep in mind that learning is not linear. When students hit a plateau they are making connections. In other words, they are combining new information with what they currently know, in order to build an even sturdier structure of knowledge. Anyone who has taught reading is familiar with the phenomenon of students who seem to stop making “growth” but then “suddenly” jump several levels within a short time frame. Reading out loud is another way to ignite that spark. As a teacher or a parent you are modeling how to read fluently and with expression. In addition, students are learning how to listen. Listening is one of the most underrated skills, and ironically one of the most important in order to succeed academically. This is particularly true of reading. Think-Alouds are a great technique for teaching students how to communicate with each other. Not only will you be showing them how to collaborate, you will also gain insight when listening to them “think out loud” with each other as they practice the give and take of sharing information. Teachers will literally be able to see the thought process of their students and this provides invaluable information when teaching new skills. Combining classes in the beginning, so that teachers can demonstrate this skill to their students is a great way to increase student engagement and team teach! Rule #3 Now that the foundation has been set, make book clubs student directed. This is when you will start to reap the rewards of the reading foundation you have built for your students. As often happens, the topic of discussion might shift from what was planned. Maybe students start to focus on a different character or veer away from the main idea. Perhaps they want to discuss a specific event and why it happened. As a teacher, what should you do when this happens? As Ms. Fitts and Ms. Stallings will tell you, “Let them go with it.” “Be flexible.” When students are sharing ideas, opinions, and asking questions they are learning. Engagement creates intrinsically motivated students who want to know more. Book clubs, by their very nature, are going to result in conversations that often lead down a different path. Wigfield and Guthrie (1997) documented that students who are intrinsically motivated spend 300% more time reading than students who have low intrinsic motivation for reading. Keep in mind that whether a lesson is student-directed or teacher-directed lesson plans are never set in stone. Lessons are constantly tweaked to meet the needs of all participants. So much of what happens during the teaching process occurs in the moment, and can’t be anticipated. Going down a different path than what was originally intended often leads to increased engagement, and a deeper understanding. In this type of learning environment results can’t always be measured by traditional standards. What you will be able to gauge is the interest and perseverance students display in the classroom. There is a direct correlation between motivation and academic success. When information is presented using this type of flexible format motivation increases exponentially. Rule #4 Be flexible! One change that Ms. Fitts and Ms. Stallings made with the book clubs they helped their students to create was to do away with traditional roles and specific tasks that dictated what each student was supposed to do. This restructuring formed a more cohesive book club, broadened the scope of discussions, and increased student ownership. Students held themselves and each other accountable to the standards that they set. Ironically, this degree of flexibility helped struggling readers to an even greater degree. They felt comfortable asking questions, taking chances, expressing opinions and saying, “I don’t get this.” The very nature of learning requires students to be vulnerable, and this, in turn, requires trusting others. The positive classroom culture helped students to reach out and advocate for themselves as they took ownership of their learning to the next level. This culture also created a unique distinction that promoted learning to an even greater degree. Peers and friends were synonymous, but they viewed relationships based on the environment. Peers were people they worked with and friends were people they socialized with. They tried on different hats and found the best fit depending on the task at hand. Making this distinction served as a catalyst that allowed students to raise the bar with each other and say things, such as, “You’re not participating today!” — “You need to catch up!” or perhaps most importantly, “I don’t understand.” This environment created a strong work ethic within a nurturing and structured environment. Students felt free to ask questions without judgment. Again, this goes back to the relationships that Ms. Fitts and Ms. Stallings created with their students. Even as adults many people hesitate to ask questions when they don’t understand something. This is a major roadblock when learning any task. The culture these two educators created gave students the confidence they needed to ask questions, participate fully and take ownership of their learning. There is no magic bullet in spite of what the experts say. If a magic bullet existed the common core curriculum would be working across the board. What I can state unequivocally, is that teachers know their students better than anyone else, and when they are given the autonomy to implement innovative ways of teaching, great things happen. Think about all the steps required when teaching a child how to ride a bike. If we had to break all those elements down into specific objectives imagine how complicated the process would become and how much longer it would take to teach this skill. Parents and teachers already know “what” the goals are. “How” to teach skills is the driving force that will propel a child forward. Riding a bike is not a natural process and neither is learning how to read. However, we can make skills a lot easier to learn when students enjoy the ride! Rule #5 It’s important to note that creating book clubs increased academic achievement in other academic areas, particularly writing. Once again, it was not what was taught, but “how” it was taught that made all the difference. Ms. Fitts and Ms. Stallings gave all students journals and encouraged them to write daily to build a strong foundation. The rule of parsimony was implemented and this philosophy increased their reading and writing abilities to an even greater degree. Simply put, students were required to (1) Write a very brief summary of what they had read. (2) Give their opinion (3) Ask questions. Summarizing helped to embed understanding at a deeper level. It also provided additional insight regarding student performance. Having students write their opinion proved to be a powerful tool that motivated students to write even more. Finally, students had an opportunity to ask additional questions if they wanted further clarification. Is this considered common core? Yes, and it’s so much more. It’s way ahead of the common core! When teachers are given the autonomy to make decisions based on what they know works best for their students, the sky’s the limit! Teaching is hard work, but the rewards are priceless. Being innovative and keeping the process simple makes the door to learning swing wide open! What if you had to study each objective required in order to learn how to ride a bike? What if you were then required to take a test to make sure you understood the information? What if you had limited opportunities to practice? What if you had to pass a test before being allowed to finally ride a bike? However, what if you were just allowed to get on your bike while you had someone who ran next to you as you practiced all the skills in unison? Which classroom would you rather be in and what do you think the data would indicate about these two different methods? Ms. Fitts and Ms. Stallings have created a framework that acts as a catalyst to drive instruction and academic achievement. They show their students how to ride from the very first day by building their confidence, cultivating relationships and modeling what good readers and writers do. It’s an ongoing process that starts with building a strong foundation that creates a love of learning. They are innovative teachers who inspire their students to read, write and reach for the stars.